The Mammals group has 8 different mammal images. 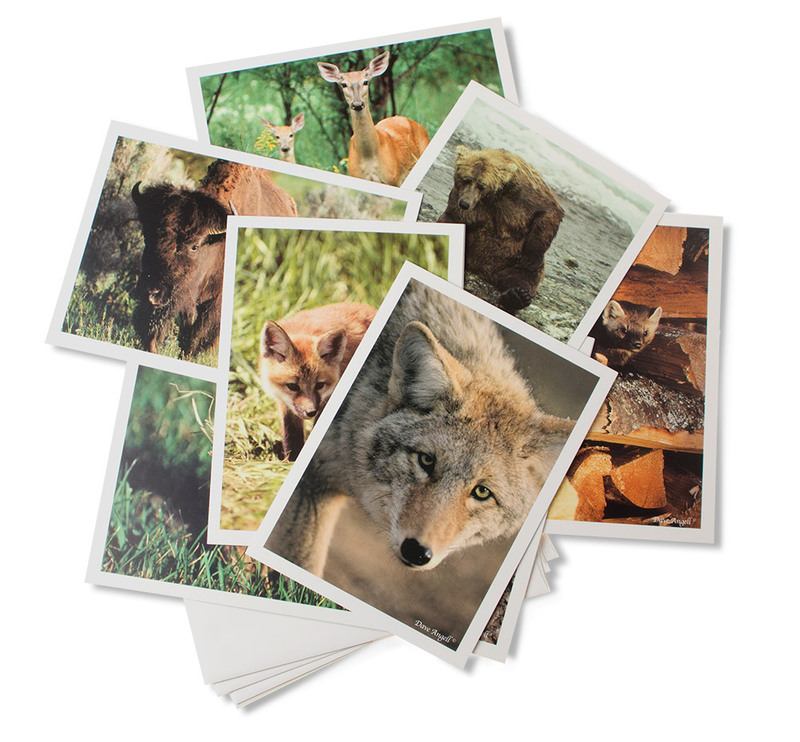 There is an image of a Coyote, Bison and Calf, Fox, Deer and Fawn, Brown bear, Ground Squirrel, Prairie Dog, and Pine Marten. The cards are a folded 4 x 6 blank inside card.